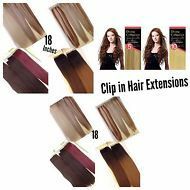 Divine Collection Synthetic Hair Extension Clip In is made up of 100 percent synthetic futura hair. It is safe to use curling iron, flat iron, blow dry and restyle. We are proud to offer you this product on our website at a competitive price. Enjoy shopping with us.